As illustrated in this great blog article A Brief Historical Look at the Evolution of Enterprise Resource Planning, Enterprise Resource Planning (ERP) systems such as SAP, Oracle and MS Dynamics didn't get created in a vacuum. They were the natural result of several different families of application being used in disparate types of businesses coming together into an integrated suite. Businesses of all shapes and sizes need to have general ledger accounting, human resource management and project management. The genesis of ERP was the fusion of those standard disciplines with the specific needs of manufacturing. Manufacturing Resource Planning (MRP) tools that had been created to manage inventory, supply chain and distribution were integrated with HR, Finance and other enterprise functions to create ERP. 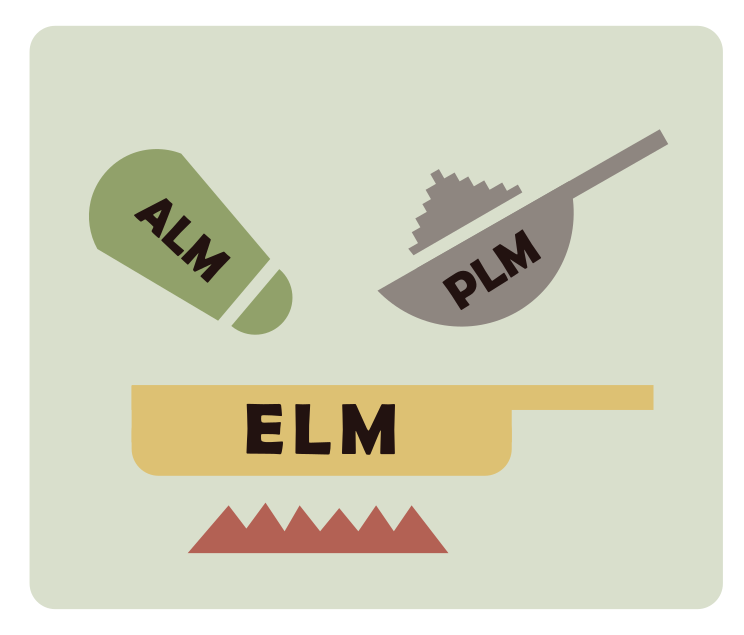 So What About ALM and PLM? We are seeing the same type of convergence happening in the Application Lifecycle Management (ALM) and Product Lifecycle Management (PLM) markets. Traditionally companies that created hardware devices were concerned with the components, assemblies and parts that comprise their products and companies that develop software were concerned with requirements, use cases, tests, bugs, issues and source code. However as the lines between software and hardware products increasingly blur (is a smartphone hardware or software, what about an internet-connected industrial sensor?) and Agile development means that the hardware and software cannot be developed independently, the tools used to manage software and hardware products need to become more integrated. In a parallel to what happened with ERP, the standard business line functions of HR, Finance and other enterprise functions are also becoming intertwined with ALM / PLM systems. The timesheets entered by a developer to mark the time spent fixing a bug or implementing a feature may need to be billed to a client, or used to determine that quarter's hiring needs. So we believe that in the future, customers will be using Enterprise Lifecycle Management (ELM) solutions; they will contain elements of ALM, PLM and will either integrate with ERP systems or even include such functions. What do you think? Do you see software and source becoming interated into a company's core business in the way that manufacturing did? Will the CFO need to have real-time project metrics roll-up into his view of the world?